Robert Miles was born to Italian immigrants Antonietta and Albino Concina in Fleurier, Switzerland. Miles became proficient at playing the piano during his youth in Friuli (Italy), in the small town of Fagagna, where his family moved when he was still a young boy, and has been in the music scene since 1988. He worked as DJ in some underground Italian clubs and private radio networks and in 1990, he used his savings to establish his own studio and bought some second-hand equipment. Miles became proficient at playing the piano during his youth in Friuli (Italy), in the small town of Fagagna, where his family moved when he was still a young boy, and has been in the music scene since 1988. He worked as DJ in some underground Italian clubs and private radio networks and in 1990, he used his savings to establish his own studio and bought some second-hand equipment. In 1994, Miles wrote his most famous dream trance work, Children. The single picked up steam slowly, and within two weeks of its official release in 1995, had sold more than 50,000 copies all over Europe and topped the charts in many countries. By 1997 Children had sold more than 5,000,000 copies Worldwide. It earned Miles platinum records in many countries. Also, Robert Miles is the only Italian artist to have won a Brit Award (Best International Male Newcomer 1997). Miles's next single was Fable, with vocals by Fiorella Quinn. Part of this song was used in the theatrical trailer for the US movie, Ever After starring Drew Barrymore and Dougray Scott. His debut album Dreamland was released on June 7, 1996 in Europe, and released a few days later in the United States, with a new track, "One and One", sung by Maria Nayler and written by songwriters Billy Steinberg, Rick Nowels and Marie-Claire D'Ubaldo. This new track became very popular and was later released as a single in the U.S. and Germany. At the end of 1996, Miles released a new version of Dreamland, called Dreamland - The Winter Edition, containing the track "One and One", which wasn't released in the European version of Dreamland. On November 27, 1997, Miles released another track, "Freedom", which was one of the key tracks on the album 23am featuring vocals provided by Kathy Sledge of Sister Sledge. Containing a different feel from the previously light Dreamland, 23am incorporated more lyrics-driven songs than its predecessor while maintaining Miles' trademark piano sound from the first album. Miles remained under the radar until June 11, 2001, when his new album, Organik, was released on both vinyl and CD. Featuring the new single "Paths", it was considered by many fans to be a break from the style that Miles had pioneered in his first two albums. In 2003, an album containing mainly remixes of songs found on Organik was released. The album, appropriately entitled Organik Remixes, contained remixes by the winners of the remixing contest held on Robert Miles' website, as well as remixes from well known artists such as The Future Sound of London, Riton, Alex Kid and many others... The album also had one new track, "Bhairav", which featured the vocals of Amelia Cuni. 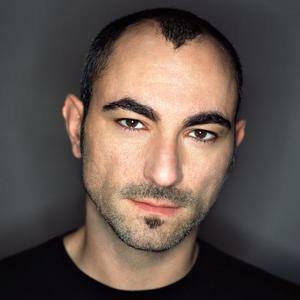 In late 2003, Robert Miles launched his own record label, S:alt Records, and in 2004 released the critically acclaimed album entitled Miles Gurtu.